The Government yesterday accepted that it had leased out a building to house the Ministry of Agriculture in 2016 and had paid an advance of Rs. 500 million though it has not been occupied. 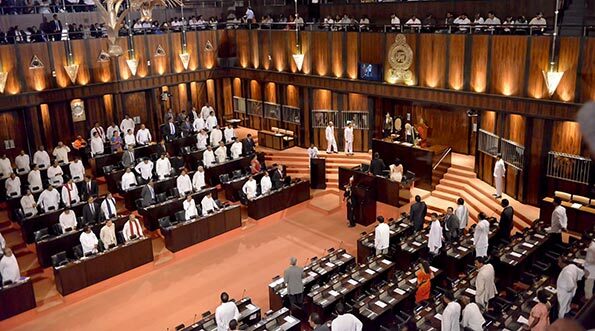 These details were revealed by the answer tabled by State Minister of Agriculture Wasantha Aluvihara in response to an oral question raised by Janatha Vimukthi Peramuna (JVP) MP Dr. Nalinda Jayatissa in Parliament last evening. The answer said the ministry has not been shifted as the office is yet to be prepared in a suitable manner. It was also revealed that the government has agreed to pay a monthly rent of Rs 15.07 million and a service charge of Rs. 6.1 million though the government estimate was Rs 13.5 million per month. Opposition MPs also alleged that the Minister in charge of Agriculture continuously fails to attend Parliament to answer oral questions. These guys are just like head less chicken running around with out any plan. It’s shocking the amount of money these buffing waste when there are so many people don’t have access to a decent health service. Travel in a bus or a train ans see how many people are begging to get some help with operations etc. Shame.